Cherish Peterson, a mother of four young kids, said she was horrified to realize she drove off from a grocery store in Arizona last week without her two-month-old son and since then, there’s been a roller coaster reaction on social media. In my own family, we have told the story for decades about my Mum (now 95) leaving my sister outside the grocery store and actually driving home without her precious bundle. That bundle was left, along with other prams, outside the grocery store while mothers did their groceries!! Ahhh the good ol’ days. My heart goes out to this family – every one of us has made some mistake that could have, given different circumstances, turned out to be a life/death situation. Unfortunately, Cherish and her husband have to respond to the social media outcry and actually defend an innocent mistake whereas my Mum just has to put up with friendly, family joking. Learning how to target practice at the tender age of 8??? How true…and kids today don’t get to experience the freedom of “bouncing all over the back seat” and “ducking from the swat that is coming from Mum”…oh shoot I forgot, you can’t swat kids nowadays!!! Like Cherish Peterson, we also have 4 children with the youngest now 17. When the children were very young, it is so hard to keep an eye on all of them, from wandering off. In one summer festival my 3 year old son got separated for about 30 minutes. After searching back and forth where we came from, we found him getting pampered with an ice cream cone by the medical attendants outside a medical aide tent. No harsh words, or nasty looks. They knew it happens, and can happen to anyone. 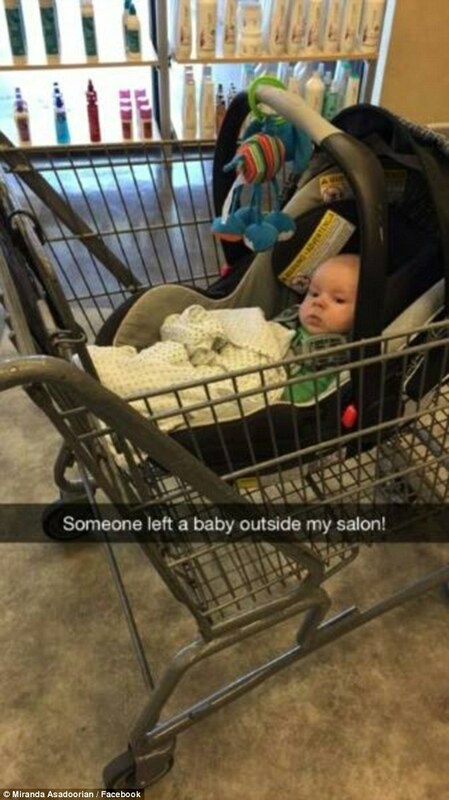 Oh WOW….every parents’ nightmare…I lost my youngest many times!!! The little fella could disappear in a second…I hindsight I could have been one of those parents with a “leash” type thing for their kids. When my son was a baby (like 6 months old), I had him in the stroller and was holding my other son’s hand (he was 2). I was crossing our little street and moved the strollers front wheels down off the curb onto the street and discovered, to my horror, that I had forgotten to buckle my baby in. Splat – he went face first into the street! I picked him up, dusted him off and hurried home to wash out his scrapes. Thankfully he wasn’t injured beyond the scrapes. Warning – never tell you child about what happened when he gets older! I made the mistake of telling him this story (he’s now 31.) Now he keeps blaming all sorts of stuff that’s happened in his life to me “throwing him” out of this stroller! Oh dear…yes I’ve had a few of those for sure…thank goodness there wasn’t someone snapping pictures at life’s little mistakes!!! lol….that poor mistreated child…sooo…he didn’t bounce huh? I had a small glass of liquor when I was 12 on New Year’s Eve … it was not a very strong thing, but when my parents noticed I got sent to bed immediately. And my 3 year old brother drank strawberry sparkling wine when he was 3 … against thirst … Not a good combination. My grandpa drove with children in the trunk or in a trailer (only on rural streets). All of these things would bring social services around today, in the 70ies they just happened. Oh those stories are too good – yes I remember the good ol’ days that we moved around all over the place in the back of our station wagon. We used to hang out of the windows trying to grab the bushes as we went down our cottage road. I remember driving the snowmobile around our 6 acre property when I was very young (12ish). My Dad taught me how to throw knives so they would stick in the side of our barn…yup the 70s…awesome. If I had grown up in these times I would have ended up a ward of the state. Too many things to list, but not many were really that harmful. Isn’t it funny how times and parenting has changed. We fell at the playground, hurt ourselves – our parents said “did you learn your lesson”…nowadays everyone is so worried that someone must be responsible for my little darling’s fall that the only lesson “little darling” learns is “not my fault”. These days you take a big legal risk having children. One innocent mistake can easily land you in jail. How true…can you imagine how crowded the jails would be with all of the baby boomers in there. Ha! Great points. We are so judgmental these days! People just want to ridicule and mock others and we forget that we are all human, we make mistakes. I so agree!! Mistakes! Accidents! – they all seem to be intolerable in today’s world.